"Does this come with a drain?" Hello Erika, yes, the drain it's included. Have a great day! "What are the dimensions of the sink? It is unclear from the description. Thank you." 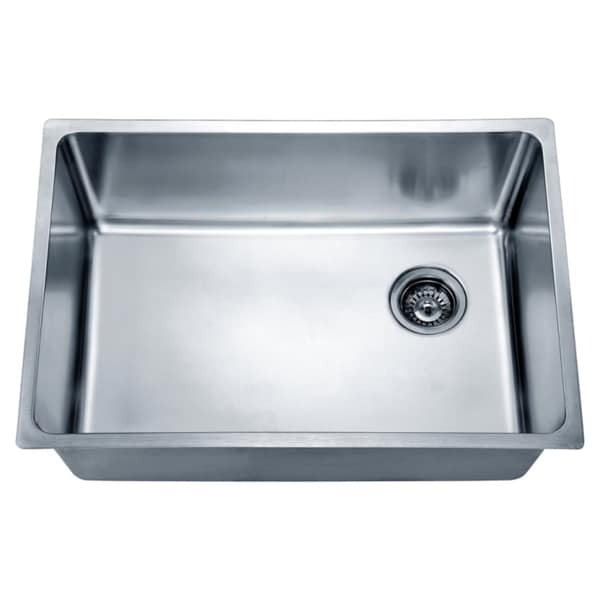 Hello itsm3, this sink is approximately 26 1/2"L x 18"W x 10 1/2"H. Thank you for shopping with us. "Does the water drain to the right on a incline?" Hello C.P.R. 4 THE B., yes, there is a very slight tilt to toward the drain. Thank you for shopping with us!